The short answer is, I joined Rotary about 10 years ago on the recommendation of a friend and colleague on the Jerry Long YMCA Board. 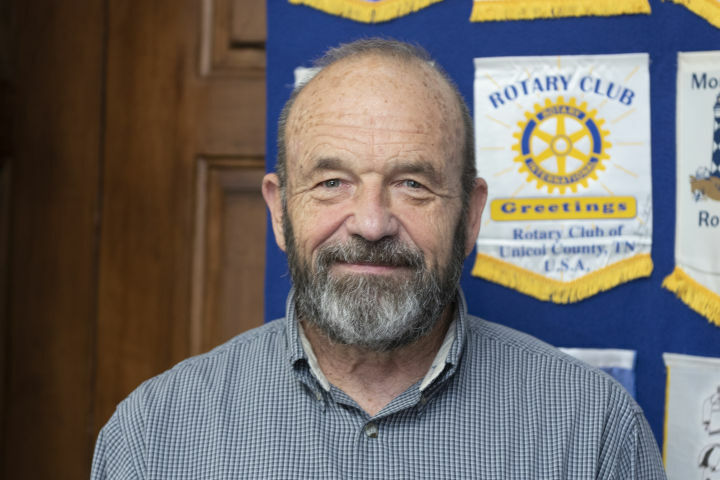 He promised that I would find the Clemmons Rotary to be fun, fulfilling, and friendly; and they serve the best breakfasts East of the Yadkin river. He was right on all counts. Why do I stay in Rotary? Answering that takes a bit more space, but the answer is simple: Marion Alexander, Daniel Ballard, Lee Bradshaw, Fred Joyner, Vana Bris-Bois, Bruce Bullings, Don Angel, Glen Cannon, ‘Hand in Hand’, Mike Chapple, Brenda Clement, John Crouch, Brad Davis, Ray Mitchell, Ron Davis, Tim Ebert, ‘Sister to Sister’, Todd Ferguson, Larry Fine, Doug Gardner, Chuck Alexander, David Garrett, John Russell, Sandy Bostrom, Steve Mann, John Golden, Diana Goolsby, Diana Sykes, Brad Gray, Melissa Dalton, Dan Greer, Jim Greer, ‘Bright Beginnings’, Frank Haas, RoseAnn Halages, Dan Harris, Craig Depuy, Terry Hayworth, Diana Hoffman, Bob Holtje, Aaron Horne, Chuck Houska, Alvin Howard, Gary and Rebecca Howorka, ‘Totally Outstanding Awesome Stroll Through Tanglewood’, Blake Johnson, Mike Shuping, Paul Johnson, Nick Jongebloed, Susan Joy, Mary Cameron, Chuck Juran, ‘The Rotary 5k – A moment of silence for the Rotary 5k…one of the best running events in the entire Triad’, Teresa Lindsay , Martin Majorel, Dana Marske, Bill McClain, Sara Migliarese, Richard Miller, ‘Reverse Raffle’, Kathryn Murray, ‘Saving Little Hearts’, Bill Noble, Tara O’Brien, Thomas Orr, Vance Parker, Carlos Pereira, John Sykes, Bill Hearn, Charlie Rowe, Purity Ruchugo, Dan Santarelli, Walt Joyce, Anne Hennis, Steve Sessions, Mark Smith, ‘Golf Tournaments’, Scott Spillman, Celeste Stanley, John Stewart, Kevin Stogner, Rosemary Suess, Vicky Surratt, Rick Sylvester (Go Army, Beat Navy—Again), Wendy Taylor, ‘Clemmons Food Pantry’, Don Timmons, Valerie Vestal, Jorge Vidal, Jason Walton, Linda Weaver, Alyssa White, Ron Willard, Tyler Wynne, Marilyn Shuping, Dave Rowe, ‘West Forsyth Student of the Month’, and the thousand and one other Rotarians and events that make our corner of the world, and the world itself a better place…every day.